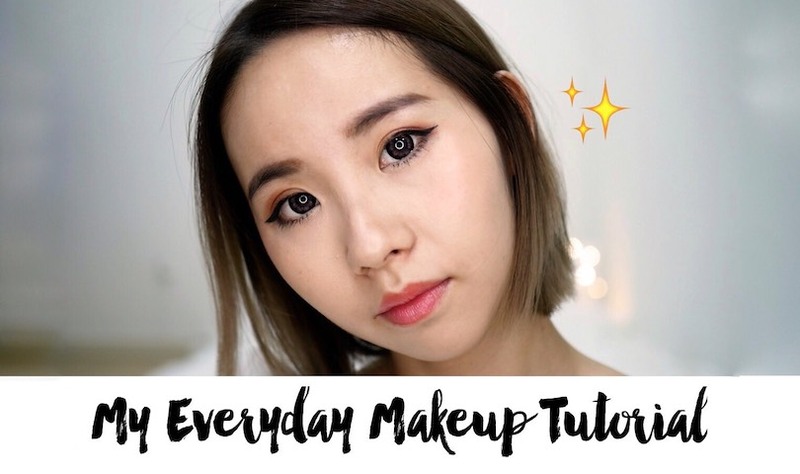 Finally after the long wait (with all my blood and sweat xD), My Everyday Makeup Tutorial/ Routine video is officially up on my youtube channel here. 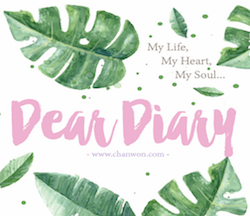 Feel free to subscribe it for more and I understand that some of you might not understand Mandarin so I always ended up create a blog post on my blog for you to read it (if you want!) HAHAHAA. So you can click on the video below to watch it or if you don't understand my cacat Mandarin, you can just scroll down for a complete review + product list + detail of it product ok?? Remember to watch it with HD quality. I actually wrote every detail on the video above but just in case someone need me to come out with a complete product list that I used on this video lol. At least I have link to send them if not I might need to take 1 hour just to answer the same question again & again. lol. So yea! Most of the product I used on this video = my top-rating product. I will always get back to the same one unless I'm trying the new product for review purpose. So if you ask whether which product I recommended for mascara, eyeshadow, or what product I normally use for everyday basis (such as lipstick) then no need me to reply it over and over again ya..It's all appear on this video! lol Like the YSL #12 lipstick I think I mentioned this more than 10 times already lol. 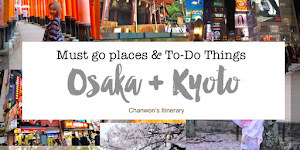 So basically I only use product that I love and to be honest most of the product I reviewed and updated it on my blog before...so I just include the link for you if you wish to know more about the product ya :) Are you ready?! Let's get started! 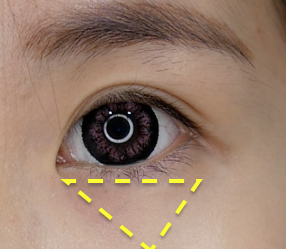 I did a review on this 4 years ago (http://www.chanwon.com/2013/05/imagene-contact-lens-review-giveaway.html) and you know what... I can't believe I have been using the same brand for such a long time lol. Not sponsored also , I bought it with my own money! You can easily found it in optic shop. I bought it during promotion and for special event and day I use daily disposable lens too. Will share it more on my youtube channel. This is the 99% skincare ingredient + 1% makeup ingredient cushion! Yes I'm using this since last year and mad love with it. It's nice, natural and provide a good coverage on my skin. It cover 80% of my dark spots and blend well with my skin tone. You can click here (http://www.chanwon.com/2016/09/h-healing-cushion-tried-tested-review.html) to read more about this product and where to get it. Not sure I used how many unit of this but I bought my first one since two years ago and been using until now. It gives a nice and natural coverage on my dark circles and sometime I use it to cover my pimples / redness around my nose area. Can easily found in Japan Drugstore. For natural coverage I will apply it dot-dot-dot like the photo above. For serious dark circle or higher coverage (thicker makeup), I will use the triangle method to cover my dark circles. Received this as a door gift from Benefit Malaysia and after my first try I immediately felt in love with it. It's specially dedicated for people like me who not a pro but can draw like a pro. The pencil shape is specially designed like a triangle shape and easily outline your brows and blend nicely with the brush too. After using the eyebrows pencil from benefit. This is definitely my all time favourite palette. I own quite a number of palette but overall this is the top rating palette that I bought during my Korea Trip last year. I think it's not available in Malaysia but you can get the single eyeshadow with the same color in Innisfree. It's pigmented, shimmer, nice and can easily create a 3D effect on your eyelids. RECOMMENDED. I always stick with this palette. One of the famous eyebrows powder that selling like a hot cakes since years ago when I'm still reading Japanese Popteen Magazine and VIVI. Until now it's still selling like a hot cake! Really nice and I always use it to contour my nose. Both of these = my all time recommended eyeliner. The DUO eyeliner that selling in Sasa also not bad almost has the similar effect and outcome with both of this eyeliner. But recently my heart melted for the Wlab eyeliner because the brush is to thin, waterproof power +++ & can draw a nice and perfect eyeliner anytime & everywhere! While the brown color majolica majorca was my last time favourite before I bought the Wlab eyeliner. It's also waterproof and nice but the brush is slightly poor than the Wlab. Overall the Majolica Majorca suitable for beginner while the Wlab require few time practice in order to get use with the thin brush. I tried tons of eyelashes curler so far I think Shiseido & this from Shu Uemura suit my eyes shape and the curl is epically design for Asian's eyes. It require you to have some time to experience diff brand eyelashes curler because each has diff curl shape and suit diff eye shape too. Normally you can found lots of diff curler in Japan drugstore and most of it has diff length, some is wider and some is shorter. So.... Just try this and get the one which fit your eye shape perfectly! I always stick with both of this mascara and the majolica majorca one but since I bought too much the Gokubuto one so I will just use this to film this everyday makeup tutorial for you guys. Next, the Mote Mascara was the one I review on this haul post http://www.chanwon.com/2016/11/top-6-japanese-beauty-product-haul-from.html last year. I think it really did a great job lengthen my bottom eyelashes so I always use it on my bottom eyelashes and upper eyelashes will stick with the GOKUBUTO CANMAKE mascara. Will try more mascara and review it for you guys on my blog + youtube too. Then soon will have a nice comparison between top 5 or top 10 mascara. This is what I love to use on my cheek area. I use it according my mood of the day. But most of the time I will apply the cream cheek CANMAKE #CL01 on my under eye area and added a layer of NARS or Jil Stuart! NARS Blusher is my all time favourite especially the color #organism. A mature shades of pink! For those who read my Chanwon's Pick Lipstick / My top5 lipstick or follow me on my instagram you probably noticed this lipstick...I always recommend it for daily makeup or everyday use. It's nice and the color just super cheerful and nice to go with any outfit + makeup. If my forehead or T zone too oily I will use the Innisfree no sebum powder to get rid of oily area and you can also put a little of it on your hair roots or even before applying any eyeshadow you can put a little bit of it on your eyelid. So here's everything about my Everyday Makeup Routine/ Tutorial! Hope it's useful for all of you and hope it's useful for you. That's all for today. Love, xoxo.